Due to it's poor economy and massive population, the quality of personal transportation throughout Indonesia has not progressed rapidly. The island of Bali, a popular tourist destination for Australians, presents a typical example of Indonesian transportation conditions. The public transport infrastructure is poor, the road quality is generally terrible, and road safety and driving conditions are always chaotic. 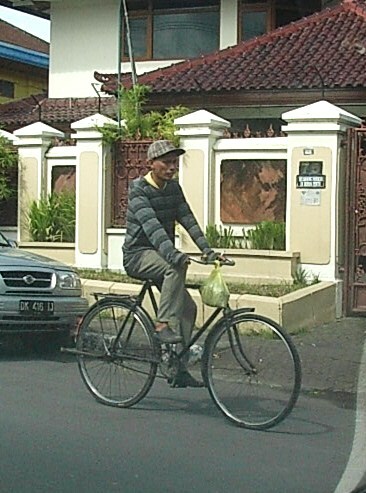 Small vehicles are prevalent on Balinese roads, however the majority of personal transportation is on scooters. Scooters, scooters, and more scooters......every intersection choked with locals on scooters conducting their daily business. It is normal for a local Balinese family to rely on the scooter for family transportation and a regular sight is of dad, mum, and two small children huddled up on the seat of scooter making their way through town going about their business. Typical family transport in Bali. On the island of Bali many older locals still rely on bicycles for their primary mode of transport...bicycles which they have personally owned for a long time - probably since new! Older bicycles that reflect the designs of English bikes of the the 1930's and 40's. Steel frames, chromed rod caliper brakes, with old leather saddles, that usually roll along on rusted 28 inch Westwood rims. 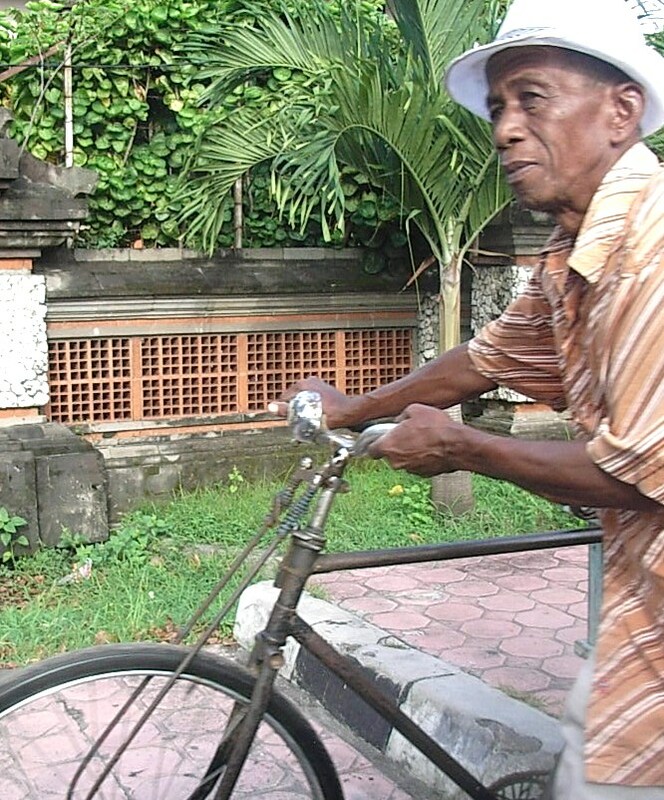 An old Balinese man with his steel bicycle. Where do they source their spare parts? Part 1 of this article will have a look at what brands they are and how old they might be, and Part 2 will have a look at the spare parts issue. The old bicycles are frequently observed being ridden on the bumpy roads trying to make their way through the chaotic maze of scooters. Some of the riders use their bikes for personal transport, and others use their bikes as a tool of trade, often carrying produce on panniers connected to a rear rack. A local with his vintage work horse. Due to the poor physical condition of the roads throughout the island of Bali, riding a modern carbon road bike with 700C tyres would be treacherous to say the least. The road surfaces are in poor condition and this would cause a modern tyre to puncture very easily, an expensive carbon frame would not last long in these conditions....and clipping in (clipless pedals) would not be an option due to the chaotic traffic conditions where unexpected stops are frequent. The only modern bicycles I have sighted are 'Polygon' brand mountain bikes that have robust 26 inch tyres and solid aluminium frames. Even these bikes are not common - poor roads and chaotic traffic discourages many from riding bicycles! 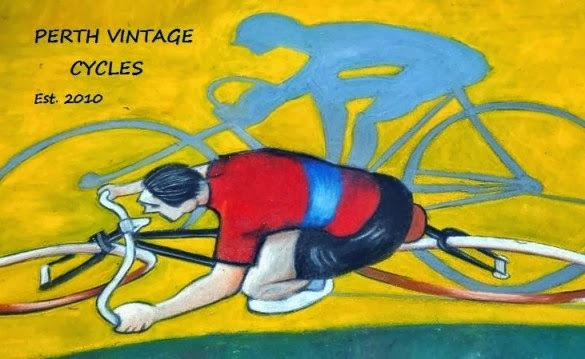 In fact I'm even surprised to see the vintage bicycles being ridden around...they may be robust but the traffic is crazy! After having had a look at the manufacturers marking on the vintage bikes I have noted that the majority carry the "Phoenix" brand. The giveaway is the PHOENIX lettering contained within the chainring... this identifying feature is quite reminiscent of the old Engish bikes that also carried their brand name or symbol in a similar fashion ie BSA, Raleigh, Hercules. The vintage "Phoenix' bicycle....common place in Bali. A more modern ladies Phoenix with full chaincase. Phoenix decals on the downtube. Lots of steel bikes - cheap parts means inexpensive repair costs. ...a modern lightweight expensive design can't compete with these requirements so you can see why the vintage styling is still the preferred choice not only in Bali, but throughout Asia. ...a front internal hub brake on this one! ..........and of course a visit to Bali would not be complete without finding a (brand) copied item of some sort. Here is an old men's steel classic that carries a Raleigh styled headbadge and is pretty much a copy of the old Raleigh DL-1 Tourist that I featured in an earlier blog. The "Raleigh" styled head badge that has "RELIGHT" printed in red under the red "R". OK......so these vintage bikes in Bali may not be that old after all, they just look old!! We all know how a bike can quickly deteriorate if it is kept in the open air near the ocean exposed to the salt air for a few years! Phoenix manufacturers started making vintage English styled bicycles in 1958 so alot of these bikes may well be old, but without the ability to record and research frame serial numbers (if they indeed have any) it woud be very difficult to accurately age a vintage styled bicycle in Bali. There are plenty of old vintage styled bikes in Bali...so where do they get their spare parts? Can I get some? I'll cover this and more in the next installment. There are thousands British, Dutch and Japanese bicycles and motorcycles in Indonesia as those countries first arrived in 1760 as a main transport during the colonial . As a Balinese myself I owned 12 vintage British motorcycles and 7 vintage British bicycles. 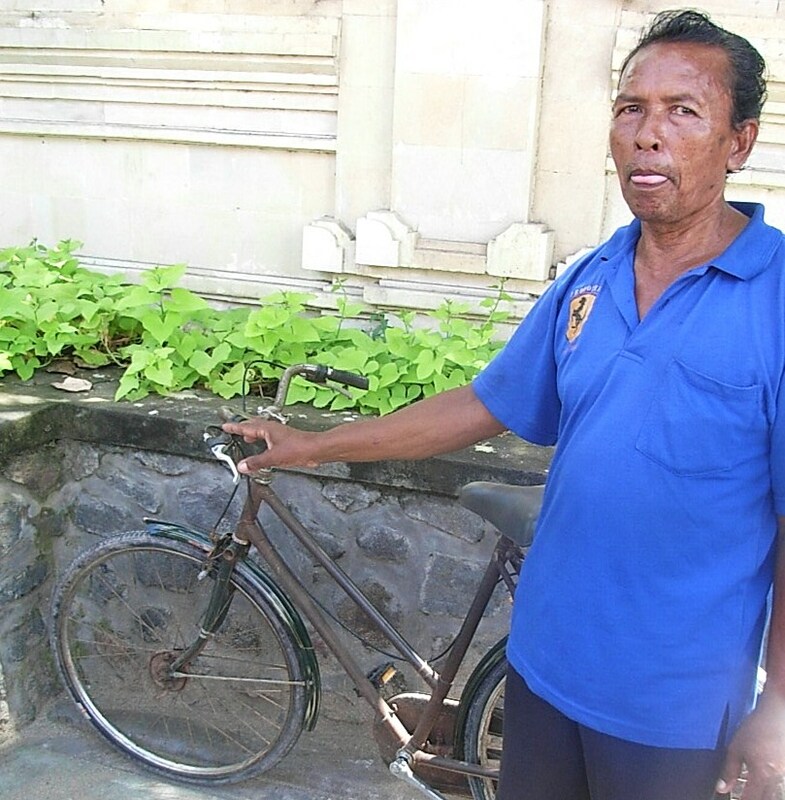 Wayan how are you, where can I buy a vintage bicycle in Bali, have you got any to sell?